"It’s an honor to receive this award"
LOUISVILLE, Ky.--(BUSINESS WIRE)--Humana Inc. (NYSE: HUM) has ranked No. 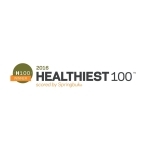 4 on the list of the “Healthiest 100 Workplaces in America,” compiled by Healthiest Employers to honor organizations that have comprehensively incorporated the most vital corporate wellness policies, practices and programs in their workplaces. Applicants for the “Healthiest 100 Workplaces in America” award are scored with The Healthiest Employers Index (HEI), a 1-100 metric that addresses six critical dimensions of workplace wellness: culture and leadership commitment, strong foundations, annual planning, communications and marketing, programming and interventions, and reporting and analysis. 100 Workplaces in America” annual program honors the “best of the best” in corporate wellness and population health. Humana’s holistic approach toward well-being supports and improves associates’ sense of purpose, health, belonging, and security. Associates enjoy benefits like paid volunteer time off, network resource groups, flexible work arrangements, and financial counseling for their well-being. Fun events like the annual 100 Day Dash step challenge get associates moving together. In 2016, associates took more than 16 billion steps; that’s up from 5.7 billion steps in our first Dash in 2012. 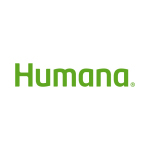 HumanaVitality, Humana’s health and wellness rewards program, encourages healthier lifestyles and supports associates with resources, health coaching, and other tools. The strong commitment to well-being has helped Humana earn world-class employee engagement rates – consistently in the top 10th percentile of the Kenexa IBM World Norms database of over 16 million employee responses for the last five years– showing that associates understand and appreciate the commitment to helping them build balanced lives. Healthiest Employers is an innovative awards program that recognizes organizations that proactively shape the health of their employees. To date, Healthiest Employer has served as a resource to over 4,000 U.S. employers that represent 60 million employees, and offers Springbuk health analytics. Learn more at www.HealthiestEmployers.com and www.Springbuk.com.